Next to the Torre Muga grapes, the grapes of Prado Enea are always the last to enter the cellar. With this we ensure an optimal maturation. Grapes fermented in deposits of oak of 10,000 Kg. capacity without control temperature or addition of yeast. Maceration is variable but can be extended up to twenty days. 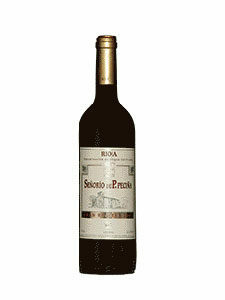 This wine is of twelve months in deposits of oak of 16,000 liters, thirty-six months in barrels of oak (minimum), and thirty-six months (minimum) in the bottle. After breeding is carried out a light clarification with egg white. Visual we have a wine of Ruby-Red, with a high layer, nothing evolved at the edge. Denotes us a full youth. Nose: expressive, well defined in trait those breeding and with hints of fruit. Base of ripe red fruit (plums, currants) on exposing a bouquet of modern cut that pinpoints nuances as it takes air in the Cup; leave first notes of good wood (Cedar, acacia fresh bark), after many nuances of spices (cinnamon, cloves, black pepper) and finally memories of leaves of tobacco and to complete a set that combines a clearly modern character without losing their identity.